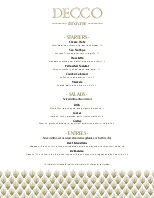 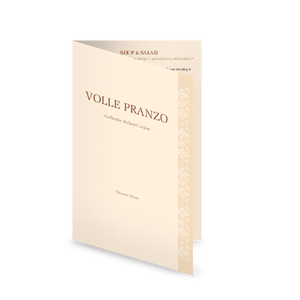 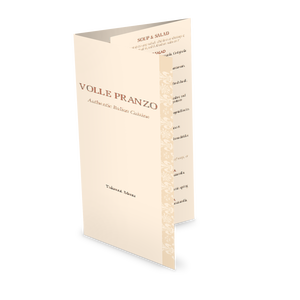 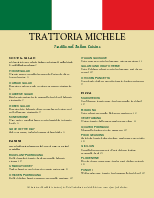 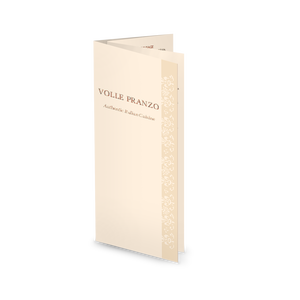 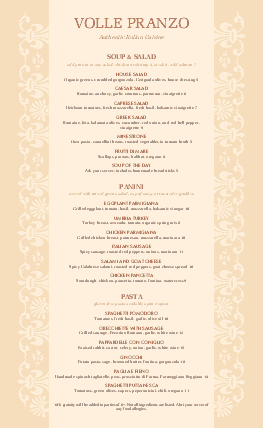 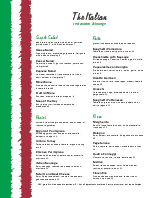 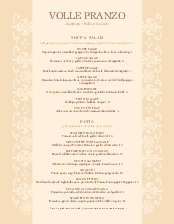 This traditional Italian menu has space to add your logo on top of the legal size page. 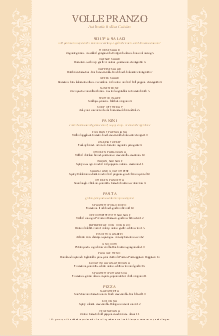 The Italian food specialties are listed in a single column against the tan page decorated with a brocade design. 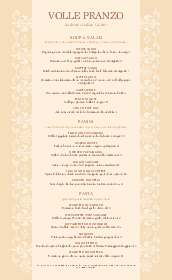 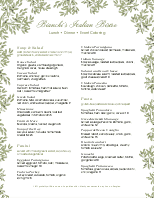 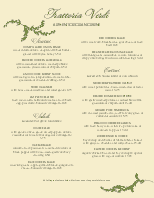 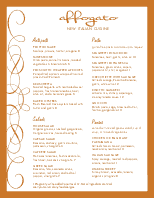 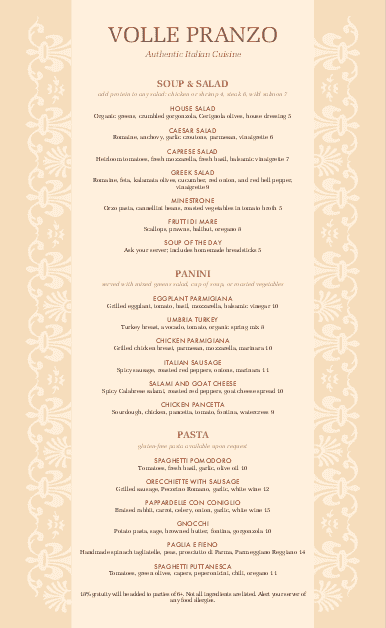 Use this design to create your own upscale Italian menu.